Poppy Seeds and Basil in Ice Cream? SCOTTSDALE, Ariz.--(EON: Enhanced Online News)--Cold Stone Creamery’s Tastemaster™ is unveiling four new innovative ice cream flavors as part of the Gold Cone™ Collection. Throughout the prime ice cream season, Cold Stone Creamery locations will add these unique flavors and new ice cream Creations into the lineup of indulgent treats. The Gold Cone Collection began in April 2010, showcasing a rotation of ice cream flavors each exhibiting the gold standard of super-premium ice cream. 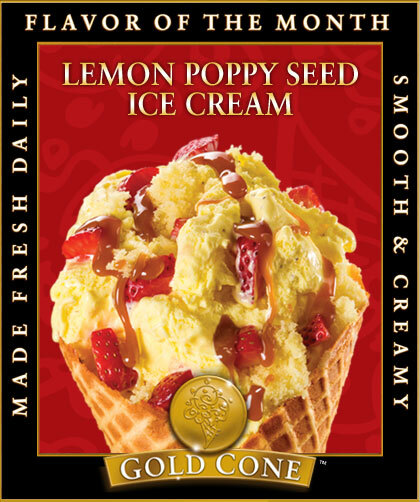 All Gold Cone flavors are available for a limited time only in all Cold Stone Creamery locations nationwide. In addition, each Gold Cone ice cream flavor will be featured in a Creation™, a delectable pairing of the ice cream with perfectly complementary mix-ins specifically chosen by our Tastemaster. “No culinary trend is out of reach for the ice cream industry, and I’m excited to bring several unique trends to Cold Stone Creamery locations this summer. The tastes you’ll experience will remind you of your favorite bakery items, herbal fruit blends and even summery cocktails - the nonalcoholic version of course,” said Ray Karam, Cold Stone Creamery Tastemaster. The Cold Stone Tastemaster has developed an intriguing palate of ice cream flavors, kicking off the summer with the surprising sweet and tangy combination of Lemon Poppy Seed Ice Cream in May. The beautifully bright yellow ice cream sprinkled with real poppy seeds exhibits the unmistakable taste of a lemon poppy seed muffin. The month of June will feature Chocolate Hazelnut, an ice cream flavor created by Cold Stone’s Gold Cone Facebook contest winner, Megan Miller. Megan flew to the Cold Stone headquarters in Scottsdale, Ariz., to compete in developing a new ice cream flavor that Cold Stone lovers around the country would love. With the perfect blend of chocolate and hazelnut, Megan’s ice cream flavor creates the nostalgic taste of a decadent childhood snack. Cold Stone has pioneered many popular ice cream trends, from layered ice cream cakes to the delicious Cake Batter Ice Cream. Now the ice cream giant is introducing herbs to the menu for the first time in July. Strawberry Basil captures the essence of a classic Italian sweet herb flavor combination that is perfectly refreshing for summer. The unique combination served as a frozen dessert opens new and delicious doors for the ice cream industry. Rounding out the summer months, Cold Stone locations will serve in August a delicious lime and mint infusion guaranteed to invigorate the taste buds. The new flavor, Mojito Sorbet, is reminiscent of the adult beverage but created in a way for everyone, including children, to enjoy. This nondairy treat has a tantalizingly refreshing effect, making it the perfect relief in the scorching heat. Following these flavors, the Gold Cone Collection will continue to introduce more unique flavors throughout 2011. To become a fan of Cold Stone Creamery and learn more about upcoming flavors, visit www.facebook.com/coldstonecreamery. Cold Stone Creamery delivers The Ultimate Ice Cream Experience® through a community of franchisees who are passionate about ice cream. The secret recipe for smooth and creamy ice cream is handcrafted fresh daily in each store, and then customized by combining a variety of mix-ins on a frozen granite stone. Headquartered in Scottsdale, Ariz., Cold Stone Creamery is a subsidiary of Kahala, one of the fastest growing franchising companies in the world, with a portfolio of 12 quick-service restaurant brands. Cold Stone Creamery operates more than 1,500 locations in 17 countries. 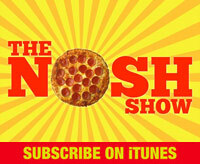 For more information about Cold Stone Creamery, visit www.coldstonecreamery.com. For more information about Kahala, visit www.kahalamgmt.com.